Oppo announced F1 smartphone highlight of which is the 8 megapixel front camera. Oppo F1 is now available in India for a price of Rs. 15,990. The handset is offered with aluminum body. The front camera comes with software features such as live color filter, Beautify and so on. New Delhi: Oppo F1 comes with 5 inch display screen with 720 x 1280 pixel resolution. Pixel density is 294 ppi. Type of display is IPS. There is also 2.5 D Gorilla Glass 4 coating. 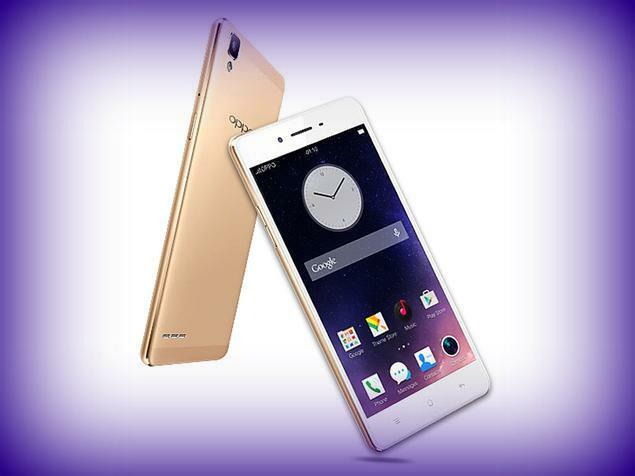 It is powered by quad core whose clock speed is 1.3 GHz. The processor is paired with 2 GB RAM and internal storage provided is 16 GB. It supports micro SD via which memory can be further expanded. It sports 13 megapixel camera at rear and it also comes equipped with 8 megapixel camera at front. The handset comes out of the box with Android operating system of unknown version. Connectivity features include WiFi, Bluetooth, 4G LTE and GPS. It features proximity, accelerometer, gyroscope sensors. Battery under the hood is 2500 mAh capacity battery. Oppo F1 will be made available in India starting with New Delhi. Other highlights are the octa core processor with 1.7 GHz clock speed, IPS display, good cameras and 4G LTE connectivity. This entry was posted in Launches, Tech on February 8, 2016 by Rakesh.